In 1903, an entrepreneur with a love for good chocolate and fresh milk did something remarkable. He built a community in the countryside, complete with schools, factory, houses, you name it – and he dedicated it all to the production of chocolate. Sound like heaven? Keep reading. In the 1700s, a small Scotch-Irish, Swiss-German and German community was founded in rural Pennsylvania. Seeking religious freedom, the residents were predominantly Presbyterian. The town was a tranquil place and when Dauphin County was established in 1785, it was incorporated into it. Derry grew quickly to a population of 2300 in the 1800s, thanks to the arrival of railroads, canals, and the state highway system. Italians, Hungarians, and African-Americans arrived to work in the towns quarries, saw and flour mills, distilleries, tanneries, and lime kilns. Schools arrived in 1844 under Pennsylvania’s Free School Act, which was passed in 1834. Twelve more soon followed. In 1857, a young Mennonite family welcomed their son Milton’s birth in Derry. They had no idea how much he would change the town (and the world’s) future. 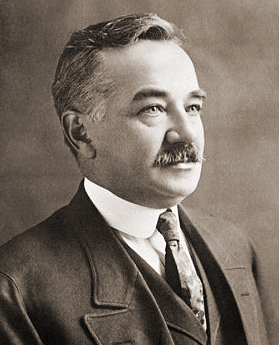 Milton S. Hershey was a man with cash, a company, and the desire to use fresh milk in his chocolates. The best place to find fresh milk? Where the cows are – farm country. After making a successful start into the world of caramels with the Lancaster Caramel Company, he went home to Derry. In the heart of Pennsylvania’s Amish farmlands, Hershey set up something decidedly not Amish. The first modern chocolate plant, complete with mechanical manufacturing machines. It was 1903, and the world of American chocolate making was about to change – permanently. One of a group of new industrialists, Hershey believed workers would perform better if given the chance to live in a comfortable home, live a good life, and have their basic needs provided for. He rebuilt the town, complete with churches, houses, parks, schools, and trolleys. Derry soon became Derry Hershey or just ‘Hershey’. Hershey had big dreams – in the city, he and his wife (who never had children) built a school for orphans, to which they later entrusted the bulk of their fortune. Other flourishing institutions he created include the Hershey Hotel, Hershey Park, and the Hershey Sports Arena, and a foundation to assist the educational and cultural development of the community. Today, the Derry-Hershey community is a popular tourist destination with an obvious chocolate themes. Lancaster Caramels are back on sale, and although the Hershey brand has moved much of its manufacturing, the community still runs on chocolate. 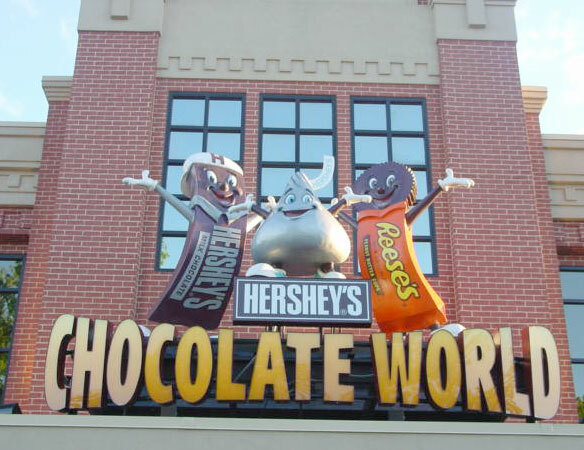 The Sweetest Place on Earth is, at least for its residents, Chocolatetown, PA. Hershey. Perhaps the most Willy Wonka-esque town on the planet, Hershey is a great place to take families. The town is a unique remnant from an era when entrepreneurs worked hard to better the lives of their employees – a trend that’s reemerging in force. There’s plenty to see, more to do, and the chocolate motif (even the Hershey’s Kisses lamp posts) is strong enough to be fun, but not overdone. A sweet attraction next door to Hersheypark, Chocolate World offers little kids and adults alike the opportunity to explore Hershey’s chocolate-making process in a delightful way. From riding a mini-ride through a fictional factory to making and decorating chocolate bars and watching a 4D film, Chocolate World is a great place to take kids ages 3-9, or to just cut loose and let your inner child take over for a bit. 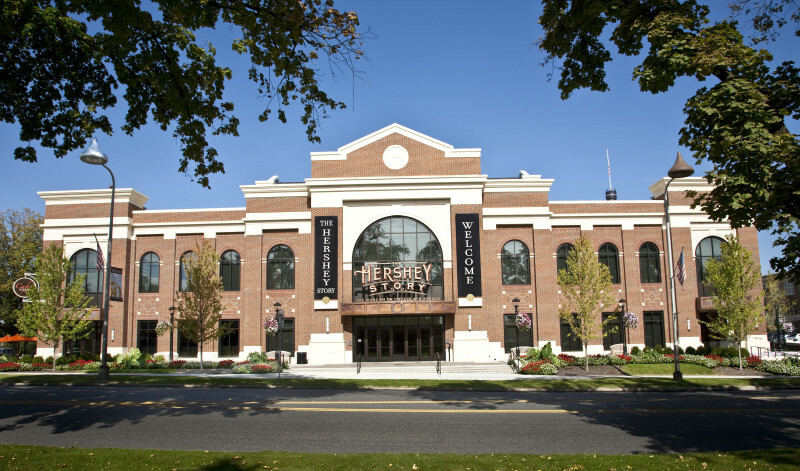 This interactive museum is a window into the history of the Hershey company, complete with chocolate making activities and an in-depth look into the life of the company’s founder, his failures, and his successes. Milton was responsible for the creation of mass production techniques for chocolate, and the museum’s Sweet Innovations exhibit looks deeply into that contribution. Anyone who loves ads and the power of marketing will get a kick out of the Power of Promotion exhibit, too – it’s also a great way to teach children how much advertising affects them. All in all, a great stop for almost all ages. Amish family riding in a buggy in Lancaster, PA. Photo by The CAD Expert. Born in 1903, the Hershey company arrived in a world where horses and buggies were the norm. The town’s streets likely witnessed quite a bit of horse-drawn traffic. Traveling it by horse and buggy is a great way to imagine what life must have been like for the factory’s first workers and their families. 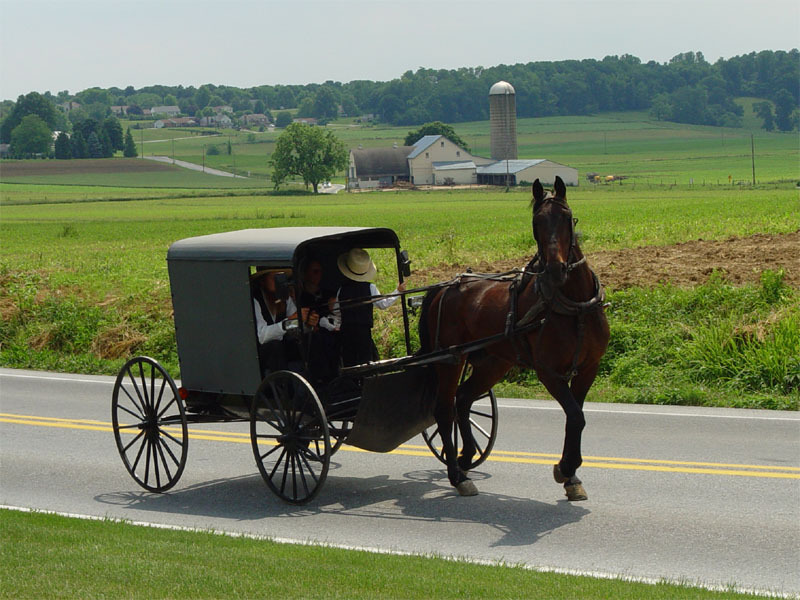 It’s also a great way to see how the nearby Amish communities live, as many Amish families offer buggy rides for tourists. Looking for an active outing the whole family will enjoy? Check out Hersheypark and ZooAmerica. Located side-by-side, you’ll find a massive theme park that feels like Disney on chocolate and an 11-acre walk-through wildlife experience featuring everything from ocelots to burrowing owls. In a city that’s known for being a sweet-tooth Mecca, good food is a given. Take your taste buds on a delightful trek through savory and sweet at the following stops, and don’t forget to grab a little chocolate on the way. Looking for a break from the chocolate mania? Check out Au Bon Lieu. This restaurant might seem like a hole in the wall – it’s buried in the back of a parking lot – but the crepes are worth it, the salads are huge, and the chalkboard-top tables are a fun feature. Try the sweet lemon and sugar crepe to satisfy your sweet tooth. Created by Milton S. Hershey himself, this hotel is now one of the city’s key landmarks and offers an unbeatable breakfast. The quality comes at a price, however. A la carte options here range from $2.25-$16.00, but the real treat is the Grand Buffet, priced at $10.50 for kids and $21.95 for adults. Try the Belgian “Kiss” waffles for something fun with a familiar taste. Been to Hershey? Tell us about your trip. What inspired your foray into chocolate-mania? Any videos or images to share?